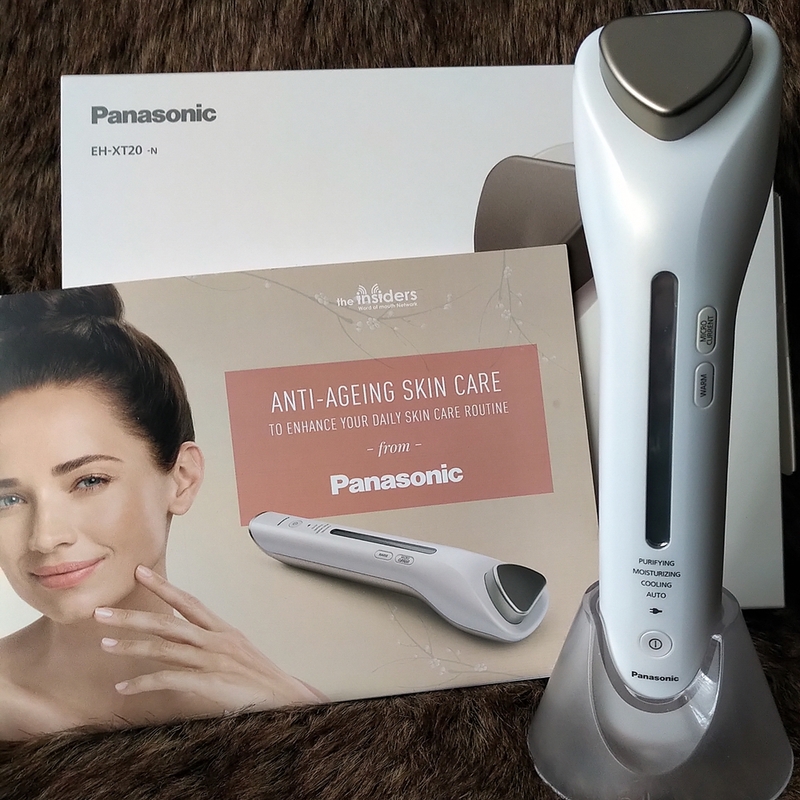 Home / SkinCare / Enhance Your Skin Care Routine With The Panasonic Enhancer. 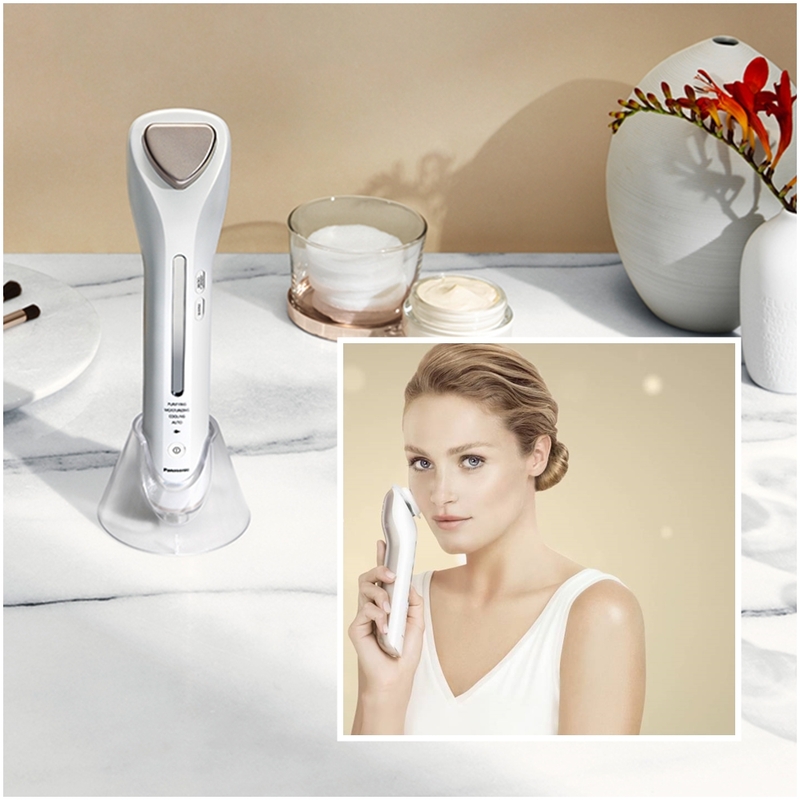 Enhance Your Skin Care Routine With The Panasonic Enhancer. The Panasonic Enhancer arrives safely in a box with a full instruction booklet that details all the information you need to know. I put the device on charge to make sure it works to its full potential and charging time takes roughly one hour for a full charge. It is noted that you must only use the device for 9 minutes everyday, which is ideal to fit into anyone's skin care or grooming regime. You can use the device both morning and night as you can select what mode you wish, which lasts roughly three minutes before turning off automatically. The battery only holds enough charge for three regimes, adding up to a total of twenty six minutes, but the power button will flash red to let you know its time to recharge. The first step is to place cotton wool over the head and then placing the cotton ring holder to hold it into place. Loose cotton wool is ideal or the round pads you can purchase, the balls of cotton wool do not fit. Applying my cleansing lotion or you can use a cleansing balm, i then select the purifying mode and gently slide the device upwards and outwards on the skin without pressing harshly. You will notice light vibrations over the skin and depending on the settings u have chosen, warmth and slight tingling can be felt from the micro current and warmth options available. I love the moisturizing mode because it is versatile and can be used with serums, moisturisers and any skincare product you apply after cleansing or the purifying mode. I like to use the function when applying serums and especially any product that contains active ingredients because i want these to penetrate deeper into the skin. Selecting moisturising mode on the device, you can select the micro-current and temperature that suits your skin, before you move the device slowly upwards without any forceful action. I was quite impressed on how quickly my usual products have been accepted and absorbed by the skin, than if i wasn't using the device. The cooling mode is great for when u have finished the skin treatment and feels consistently icy cool without the temperature being changed from the warmness of your skin. The size of the head is great to reach all the areas of the face and i personally like the cooling method in the morning when eyes can be a bit puffy. Selecting the cooling mode, a fan on the back of the device cools the head plate, before you lightly place it onto the skin for 3 seconds and then move onto the next area. 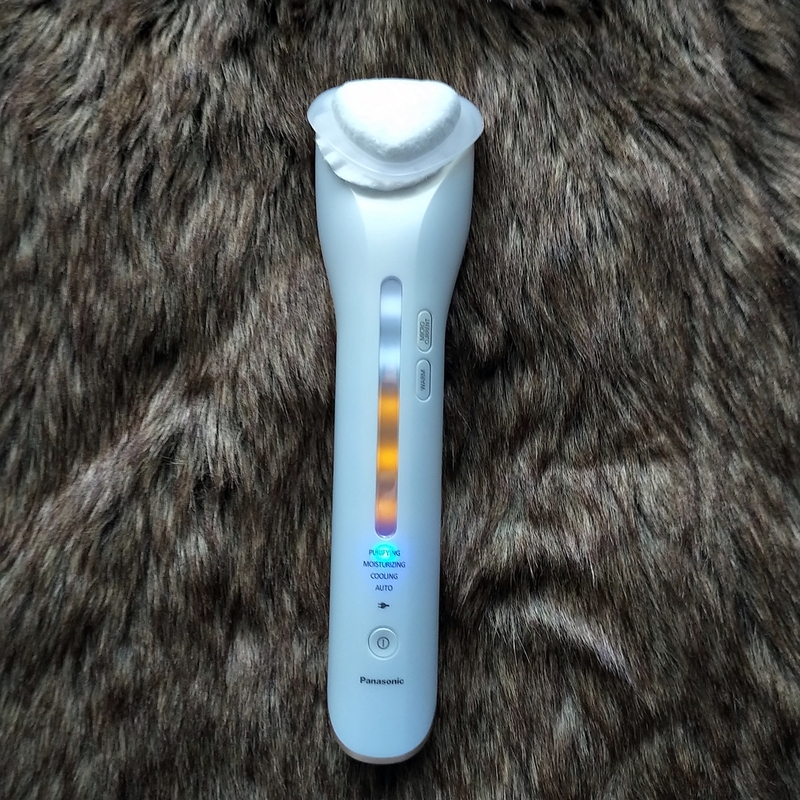 I felt my skin become firmer and any puffiness has been diminished because of the cooling method this device offers and the movement you use to help the lymphatic system to drain. The Panasonic Enhancer is really easy to use because of the noticeable function buttons that are present, whilst the display shows you which mode you have chosen and what levels of warmth or micro-current are selected. I was surprised on how light-weight the Panasonic enhancer feels and is really easy to handle when moving over the skin because of its unique design. Skin care products are absorbed by the skin quicker and especially greasier products that usually sit on the skin and take longer to be accepted. I really like how in just three minutes you have performed an at-home skin treatment that isn't too time consuming and results can be noticed when used everyday. Enhance your skin care routine when performing the at-home skin treatment that boosts your skin care products and your complexion. X Neil.